﻿ About us - Jiangsu Ruide Slewing Ring Co.,LTD. Jiangsu Ruide Slewing Ring Co.,Ltd. 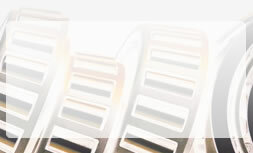 founded in 2004, which specialize in producing slewing bearings and rings in industrial and machinery fields. The competent consultation of the customers, the top quality of the products and the technology innovation in R&D Department in our company. Our slewing bearings and rings production according to ISO9001 2000. We can apply for the product certification from DNV, ABS, GL, etc.